As a piece of writing it is quite literally breathtaking...Terrifyingly funny. Howie is a charming, diffident, articulate man with a show that is as fascinating as it is funny. He is a terrific talent. 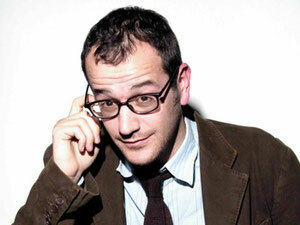 Howie is an intelligent comedian with daring material which is consistently very funny indeed. An intensely personal hour of close-to-the-bone stand-up. A skillful comic whose ability to layer gag upon gag is unlikely to be surpassed. The very undervalued Josh Howie delivers self-deprecating sharply written slices of neuroticism. There's a distinct (and lovely) whiff of the Woody Allens.